Fewer treats than usual in May for me but three of them are from some of my favourite authors. It was a toss-up as to which one of them should lead this preview but in the end it had to be Elizabeth Strout. Anything is Possible is a novel told in stories linked to Lucy Barton, familiar to readers of last year’s very fine My Name is Lucy Barton. Lucy is now a successful writer living in New York but these stories explore the lives of those she left behind in the small town of Amgash, Illinois. ‘Writing these stories, Lucy imagines the lives of the people that she especially remembers. And the people she has imagined that, in small ways, have remembered her too. For isn’t it true that we all hope to be remembered? Or to think in some way – even fleetingly – that we have been important to someone?’ say the publishers. Such an interesting device to have a character playing the role of the author of a book. Colm Tóibin’s House of Names comes a very close second to Anything is Possible but I’m slightly put off by its premise. It’s a retelling of the story of Agamemnon whose shocking sacrifice of his daughter in an effort to secure the gods’ approval for his battle plans plunges his family into a terrible and violent chaos. ‘They cut her hair before they dragged her to the place of sacrifice. Her mouth was gagged to stop her cursing her father, her cowardly, two-tongued father. Nonetheless, they heard her muffled screams’ quotes the publisher assuring us that it’s ‘a work of great beauty, and daring, from one of our finest living writers’. I won’t argue with the last point. Even before my short story conversion I would have read Haruki Murakami’s Men without Women. These seven stories bear many of the hallmarks no doubt familiar to fellow fans – ’vanishing cats and smoky bars, lonely hearts and mysterious women, baseball and the Beatles’ promises the publisher who also quotes the author on writing short stories in the book’s blurb: ’I find writing novels a challenge, writing stories a joy. If writing novels is like planting a forest, then writing short stories is more like planting a garden.’ I’d still prefer a novel. I’m particularly fond of the idea of an apartment block portrayed as a microcosm of a city – Alaa Al Aswany did it beautifully in The Yacoubian Building as did Manil Suri in The Death of Vishnu but my favourite has to be Georges Perec’s Life, a User’s Manual. Fran Cooper’s debut, These Dividing Walls, is set in a Parisian building whose inhabitants live their separate lives, barely aware of their neighbours’ existence. Enter Edward who seems to be about to change all that. ‘As the feverish metropolis is brought to boiling point, secrets will rise and walls will crumble both within and without Number 37…’ say the publishers somewhat melodramatically. Maybe I’ve set the bar too high having Perec in mind but it sounds worth investigating. I tend to shy away from dystopian fiction, particularly at the moment. My optimistic world view has taken such a bashing over the past year that I’m looking for a little comfort. Megan Hunter’s first novel, The End We Start From, is set against a backdrop of an environmental crisis which sees London under water. It follows a couple desperately seeking sanctuary for themselves and their new-born baby. This all sounds a little familiar, a well-worn dystopian trope, but what’s caught my attention is the promise of beautiful writing and this quote from the blurb: ‘though the country is falling apart around them, this family’s world – of new life and new hope – sings with love’. Let’s hope so. I’m finishing this preview with a novel which, unusually for a new title, I’ve already read – Daniel Lowe’s All That’s Left to Tell. Two people tell each other stories: one is a hostage, the other a female interrogator who visits him at night after he’s been blindfolded by his guards. Marc has been kidnapped while on business in Pakistan and finds himself caught up in the web of stories the woman he comes to know as Josephine weaves around his murdered daughter. These are the bare bones of Lowe’s cleverly structured, subtle debut which I found utterly engrossing. Breathes new life into that hoary old cliché ‘unputdownable’. Review to follow next month. This entry was posted in Random thoughts and tagged All That's Left to Tell, Anything is Possible, Books published in May 2017, Colm Tóibin, Daniel Lowe, Elizabeth Strout, Fran Cooper, Haruki Murakami, House of Names, Megan Hunter, Men without Women, My Name is Lucy Barton, Philip Gabriel, Ted Goossen, The End We Start From, These Dividing Walls on 14 April 2017 by Susan Osborne. 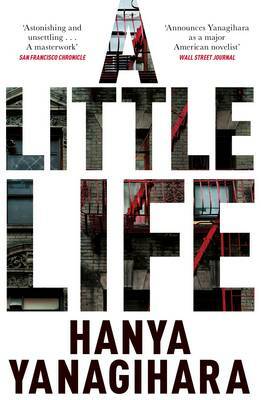 Yes, it’s that time already, and you might think that the publishing industry expects us all to slip our brains gently out of gear given that it’s summer, but there are a few stimulating novels sprinkled through my August choices, the most enticing of which for me is the weighty A Little Life by Hanya Yanagihara. It’s a bit of a doorstop – just over 730 pages – but that’s what holidays are for. It comes with a great deal of pre-publication brouhaha but nevertheless looks mighty tempting. The novel follows four graduates from a small New England college to New York where they plan to make their fortune: JB is a sharp-tongued artist, Willem an aspiring actor, Malcolm a frustrated architect and Jude – their ‘centre of gravity’ – a supremely talented lawyer. It charts the course of their friendship into middle age, visiting some very dark territory on the way. Irresistible, at least for me, anyway. Still in New York, Julia Pierpont’s debut Among the Ten Thousand Things sees an anonymously sent box of printed explicit emails, meant for artist Jack Shanley’s wife, opened by their children, precipitating a crisis. 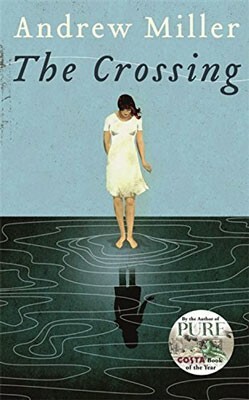 In an attempt to repair their marriage, Jack and Deb decide to move, thrusting fifteen-year-old Simon and eleven-year-old Kay into different worlds. The synopsis reminds me a little of Jane Hamilton’s Disobedience published back in the days when email wasn’t far from being a novelty rather than the time-consuming annoyance it’s come to be for so many. There was a time when a new Andrew Miller novel would have been top of my list but I’ve had several disappointments after the magnificent Ingenious Pain. Pure saw him back on form and although The Crossing is set in the present I’m hoping that he’s stayed there. I’m not entirely sure what to make of the blurb but it appears to be a love story about Tim who conceives a passion for Maud ‘who fell past him, lay seemingly dead on the ground, then stood and walked’ but Maud is a loner whose passion seems to lie in the direction of the sea rather than Tim. I think it will be well worth a look, despite its rather perplexing synopsis. I have to confess that this one’s only here because of my own obsession with the perfect pillow which would, of course, deliver the perfect night’s sleep. Lucy seems to have the same conviction which is why she fetches up in the bed linen department where William works. So far, so possibly clichéd boy meets girl but this is the bit of the blurb which clinched the inclusion of Nick Coleman’s Pillow Man here: ‘William and Lucy are not connected. Yet the pair of them share a terrible memory from the past, the sort of joint recollection that changes with the light, depending on who you were and where you were standing at the time. The question is: what to do with it?’ It goes on to talk about the ‘difficult metaphysics of bedtime’ – pretentious nonsense or intriguing, either could be true, but I think I’ll give it a try. 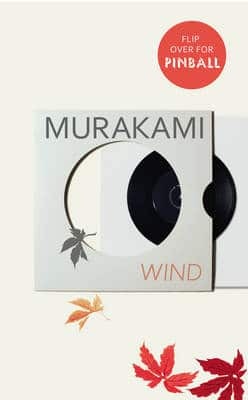 And finally, Haruki Murakami’s first two novels Hear the Wind Sing and Pinball, 1973 are to be published in the UK for the first time. Both follow the fortunes of their narrator and his friend, the Rat, and it sounds as if many of those familiar Murakami hallmarks were already in place when the novels were written. The first sees the narrator in college drinking and listening to music in J’s bar with Rat, and pursuing a relationship with a nine-fingered girl while the second moves our narrator on three years leaving Rat behind for life in Tokyo working as a translator, living with twin girls and searching for a replica of the pinball machine at J’s. Both novels will appear in the same volume under the title Wind/Pinball which will no doubt be bought by all of us committed Murakami fans, and maybe a few more. That’s it for August. As ever a click on a title will take you to Waterstones website for a more detailed synopsis. If you’d like to catch up with my July choices, you can find the first hardback selection here, the second here and the paperbacks here. This entry was posted in Random thoughts, Reviews and tagged A Little Life, All the Old Knives, Among the Ten Thousand Things, Andrew Miller, Books published in August 2015, Hanya Yanagihara, Haruki Murakami, Hear the Wind Sing, Julia Pierpont, Nick Coleman, Olen Steinhauer, Pillow Man, Pinball 1973, Ted Goossen, The Crossing, Wind/Pinball on 13 July 2015 by Susan Osborne.